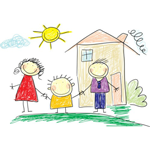 Italian Instruction and Education Body Federation, comes from the need to represent bodies, schools, agencies and institutes implementing cultural, professional instruction and education course activities, aiming to widen and update skills. The National Foreign Language Teacher Association aims to promote teaching in schools so is primarily geared to language teachers. 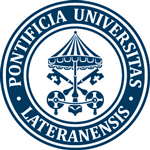 The association’s activity is based on the conviction that language study is at the base of international peace building. To this end, ANILS organizes conferences, congresses and courses, both autonomously and in collaboration with (or with the sponsorship of) MIUR/MPI and/or foreign cultural institues present in Italy. 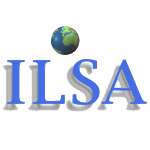 ILSA is a cultural association of Italian L2 teachers working in public and private educational institutions. ILSA mainly deals with training and updating of teachers engaged in multilingual classes and intercultural education, both in public schools and in other educational contexts. Unilever is an Anglo-Dutch multinational owning many of the most widespread brands in the field of food, drink and hygiene and home products. It started in 1930 with the Lever Brothers and Margarin Unie merger, and the years passed till now saw this firm the main player in an expansion making it one of the market’s most powerful multinationals, relying on a both global and local brand range, many dominant in their sales sectors. It is present in 90 countries with 200 branches, and appears as the most important group in the wide consumption goods sector. It’s a private firm operating internationally with premises in the Netherlands, Germany and the USA. HE Space concentrates its activities on supplying space experts to ESA, EUMETSAT and the European space industry. Its sector clients include Airbus Defence & Space (ex EADS-Astrium), DLR GfR, Thales Alenia Space, OHB Systems, Jena-Optronik, SES Astra, TESAT Spacecom, IABG and Spaceopal. Present in 90 countries with over 78,000 employees in 2013 under the 6-foot dog symbol, Eni is active in the petroleum, natural gas, petrochemical, electric energy production, engineering and construction sectors. It is the 6th world petroleum group in turnover. On 5 April 2008 Forbes magazine published a list of the greatest world 2,000 groups and Eni was at the 38º place, first in Italian firms. According to the 2013 Fortune 500 listing it is the first Italian firm and 22ª in the world for profit. The Dutch Infrastructure and Environment Ministry is responsible for infrastructures, transport, aviation, public works and land, water and forest management.The Dutch Infrastructure and Environment Ministry is responsible for infrastructures, transport, aviation, public works and land, water and forest management. Telecom Italia is a Telecommunications firm, offering land line, cell, public and IP telephony, Internet and cable television (IPTV) services to Italy and abroad. 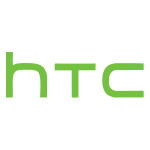 It operates in Italy in land and mobile telephony with the Tim (private) and Tim Impresa Semplice (business) brand, and in Brazil with the Tim brand. Telecom Italia is also the 7º Italian economic group for turnover and in the first 500 worldwide. From 13 January 2016 the firm adopted the unified brand TIM. Terravision is a Rome transport firm, starting in 2002 with a transport service between Ciampino airport and the centre of Rome. Now the firm and its services covers 19 airports in all Europe, icluding Stansted, Luton, Liverpool, Pisa, Bergamo, Trapani, Turin, Milano, Innsbruck, Malta, Tenerife. The firm offers a service linking these airports with city centres, or principal tourist areas. In particular it deals with direct links by bus from European cities with airports used by Ryanair and principal low cost air firms. This TV production firm specialises in TV series and entertainment programmes, and was founded in 1972 by Gianni Ravera. In the early 80s Carlo Andrea Bixio took over 50% of the firm’s share package, the most important in the event organisation field, and together with Gianni Ravera it aims to relaunch the Festival of Sanremo. New initiatives and locations are proposed – Palarock, Dopofestival, voting by Totip file – and prestigious national and international guests like Vasco Rossi, Eros Ramazzotti, Zucchero Fornaciari, Paul McCartney, George Harrison, Whitney Houston, Annie Lennox, Paul Simon, Rod Stewart and Duran Duran are invited. The Dutch-flag air company, acronym of Koninklijke Luchtvaart Maatschappij (in English, Royal Aviation Firm). Founded on 7 October 1919 by Albert Plesman, it is currently the oldest firm to operate under the same name. The first KLM flight was on 17 May 1920, from London to Amsterdam, transporting two English journalists and some papers.The Dutch-flag air company, acronym of Koninklijke Luchtvaart Maatschappij (in English, Royal Aviation Firm). Founded on 7 October 1919 by Albert Plesman, it is currently the oldest firm to operate under the same name. The first KLM flight was on 17 May 1920, from London to Amsterdam, transporting two English journalists and some papers. UniCredit S.p.A. is one of the first Italian and European credit groups. Its company premise is at Rome, its general management at Milan. The bank counts 40 million clients and operates in 22 countries. The principal markets it operates in are Italy, Austria, South Germany, Poland, Turkey, Switzerland and Central and East Europe. The firm is listed in the Milan Stock Exchange FTSE MIB index.UniCredit S.p.A. is one of the first Italian and European credit groups. Its company premise is at Rome, its general management at Milan. The bank counts 40 million clients and operates in 22 countries. The principal markets it operates in are Italy, Austria, South Germany, Poland, Turkey, Switzerland and Central and East Europe. The firm is listed in the Milan Stock Exchange FTSE MIB index. This Taiwan company produces smartphones. It initially based its products on the Microsoft Windows CE system, but in 2009 started to shift its attention to devices based on the iOS operation system but still invested again in Windows Phone, an operative system launched by Microsoft in Autumn 2010. HTC is also in the Open Handset Alliance, a mobile network producer and operator group dedicated to Android promotion. The HTC Dream smartphone, commercialized by T-Mobile in different countries like T-Mobile G1, was the first phone launched on the market to use the Android platform.This Taiwan company produces smartphones. It initially based its products on the Microsoft Windows CE system, but in 2009 started to shift its attention to devices based on the iOS operation system but still invested again in Windows Phone, an operative system launched by Microsoft in Autumn 2010. HTC is also in the Open Handset Alliance, a mobile network producer and operator group dedicated to Android promotion. The HTC Dream smartphone, commercialized by T-Mobile in different countries like T-Mobile G1, was the first phone launched on the market to use the Android platform. La Repubblica is one of Italy’s biggest dailies, based in Rome, belonging to the Espresso editorial group. It is currently the third daily in Italy for total spread (paper + digital), after Corriere della Sera and Il Sole 24 Ore, and second for average readers after Corriere della Sera.La Repubblica is one of Italy’s biggest dailies, based in Rome, belonging to the Espresso editorial group. It is currently the third daily in Italy for total spread (paper + digital), after Corriere della Sera and Il Sole 24 Ore, and second for average readers after Corriere della Sera. Ce.S.F.Or is a non profit association constituited by a public deed in 2000. 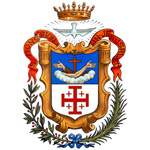 It is credited for Orientation activity (Region Lazio – DD 1190, 25.06.2003); for Continual and Superior Training (Region Lazio – DD 1399,19.05.2006) for Research (enrolled in the National Research Register – MIUR cod. 53105KTK). For Orientation, Training and Research activities, it obtained the Uni En Iso 9001:2000 Quality Certification (Rina Spa Accreditato Sincert n. 7980/02). 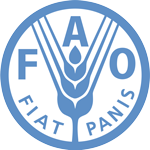 The United Nations Food and Agriculture Organization is a specialized agency of the United Nations with the aim of helping to raise nutrition levels, increase agricultural productivity, improve the lives of rural populations and contribute to growth world economy. FAO works at the service of its member countries to reduce chronic hunger and develop food and agriculture sectors around the world. The United Nations Organization, often abbreviated in the United Nations, is an intergovernmental organization of an international nature. 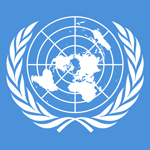 The organization was born on October 24, 1945, with the entry into force of the United Nations Statute, with 193 states in the world totaling 205. It also has military intervention, identified with the term “Blue Helmets” , from the color of the helmet worn by such troops. 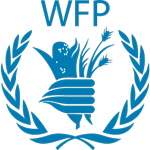 The World Food Program (WFP) is the United Nations Food and Nutrition Agency and the world’s largest humanitarian organization. The agency assists an average of 100 million people in 78 countries around the world. The main goals are to help people who can not find or produce food for themselves and their families. The Headquarters is in Rome. The agency has offices in various countries around the world. 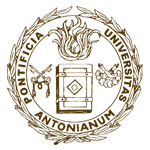 Interactive Broadband Consulting Group, LLC (IBB Consulting) is a consultancy company working with leading cable, mobile, media and technology products and services providers. The Italian Society for International Organization (SIOI) is an international non-profit organization operating since 1944 under the supervision of the Ministry of Foreign Affairs and International Cooperation. 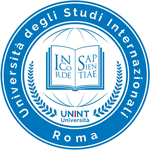 SIOI has among its institutional goals the diplomatic and international training, research and information on issues of international organization, international and European relations, international cooperation and international human rights protection. Trelleborg AB is a Swedish company active in polymers engineering, based in Trelleborg with approximately 15,800 employees. He has been listed on the stock exchange since 1964 and is currently present at NASDAQ OMX AB in Stockholm. Activated in more than 40 countries in the areas of gaskets, cushions and tires, Trelleborg holds 50% of Trelleborg Vibracoustic, active in the automotive vibration damping sector with 8,800 employees in 20 countries. Primary school (elementary) and secondary school (middle school), located in Via Val Maggia – Via Valdarno, 10 – 00141 – Rome.